Jenkins Pipeline includes built-in documentation and the Snippet Generator which are key resources when developing Pipelines. They provide detailed help and information that is customized to the currently installed version of Jenkins and related plugins. 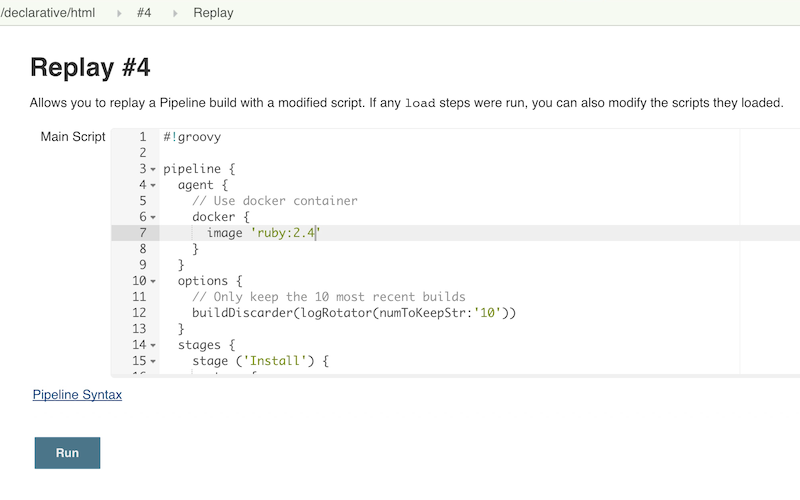 In this section, we’ll discuss other tools and resources that may help with development of Jenkins Pipelines. The Blue Ocean Pipeline Editor provides a WYSIWYG way to create Declarative Pipelines. The editor offers a structural view of all the stages, parallel branches, and steps in a Pipeline. The editor validates Pipeline changes as they are made, eliminating many errors before they are even committed. Behind the scenes it still generates Declarative Pipeline code. Jenkins can validate, or "lint", a Declarative Pipeline from the command line before actually running it. This can be done using a Jenkins CLI command or by making an HTTP POST request with appropriate parameters. We recommended using the SSH interface to run the linter. See the Jenkins CLI documentation for details on how to properly configure Jenkins for secure command-line access. # Assuming "anonymous read access" has been enabled on your Jenkins instance. Below are two examples of the Pipeline Linter in action. This first example shows the output of the linter when it is passed an invalid Jenkinsfile, one that is missing part of the agent declaration. WorkflowScript: 2: Not a valid section definition: "agent". Some extra configuration is required. @ line 2, column 3. WorkflowScript: 1: Missing required section "agent" @ line 1, column 1. In this second example, the Jenkinsfile has been updated to include the missing any on agent. The linter now reports that the Pipeline is valid. Typically a Pipeline will be defined inside of the classic Jenkins web UI, or by committing to a Jenkinsfile in source control. Unfortunately, neither approach is ideal for rapid iteration, or prototyping, of a Pipeline. 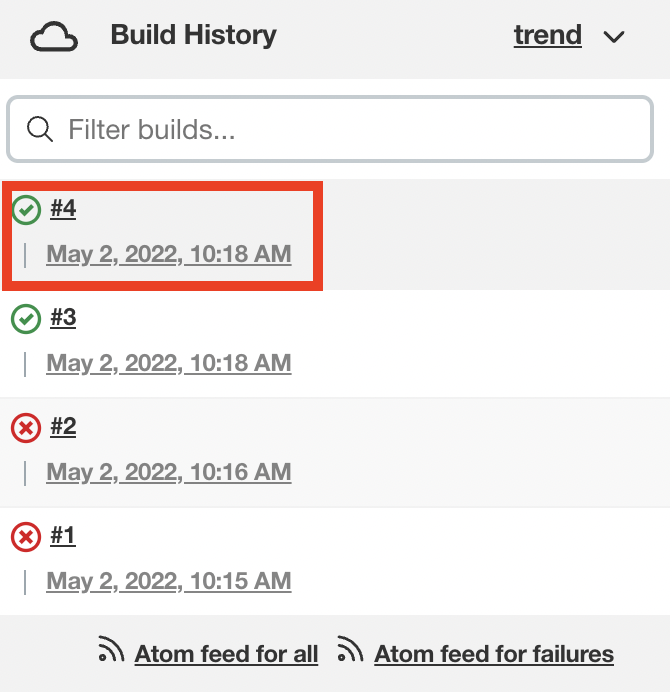 The "Replay" feature allows for quick modifications and execution of an existing Pipeline without changing the Pipeline configuration or creating a new commit. 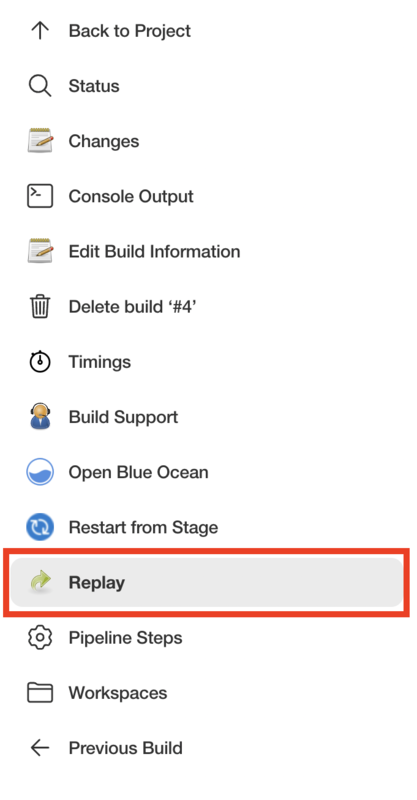 Select a previously completed run in the build history. Make modifications and click "Run". In this example, we changed "ruby-2.3" to "ruby-2.4". Once you are satisfied with the changes, you can use Replay to view them again, copy them back to your Pipeline job or Jenkinsfile, and then commit them using your usual engineering processes. Can be called multiple times on the same run - allows for easy parallel testing of different changes. Can also be called on Pipeline runs that are still in-progress - As long as a Pipeline contained syntactically correct Groovy and was able to start, it can be Replayed. Referenced Shared Library code is also modifiable - If a Pipeline run references a Shared Library, the code from the shared library will also be shown and modifiable as part of the Replay page. The Jenkins Editor Plugin is a third-party tool that is not supported by the Jenkins Project. The Jenkins Pipeline Linter Connector extension for VisualStudio Code takes the file that you have currently opened, pushes it to your Jenkins Server and displays the validation result in VS Code. The extension adds four settings entries to VS Code which select the Jenkins server you want to use for validation. jenkins.pipeline.linter.connector.url is the endpoint at which your Jenkins Server expects the POST request, containing your Jenkinsfile which you want to validate. Typically this points to <your_jenkins_server:port>/pipeline-model-converter/validate. jenkins.pipeline.linter.connector.user allows you to specify your Jenkins username. jenkins.pipeline.linter.connector.pass allows you to specify your Jenkins password. jenkins.pipeline.linter.connector.crumbUrl has to be specified if your Jenkins Server has CRSF protection enabled. Typically this points to <your_jenkins_server:port>/crumbIssuer/api/xml?xpath=concat(//crumbRequestField,%22:%22,//crumb). The Pipeline Unit Testing Framework allows you to unit test Pipelines and Shared Libraries before running them in full. It provides a mock execution environment where real Pipeline steps are replaced with mock objects that you can use to check for expected behavior. New and rough around the edges, but promising. The README for that project contains examples and usage instructions.